oh man. definitely dig it. anyone see the Clone Wars finale? I've got a new respect for these characters...also they're scary. Thanks! Glad you like it. Haven't gotten around to watching Clone Wars yet. Does that make me a bad Star Wars geek? Cool style Blain. 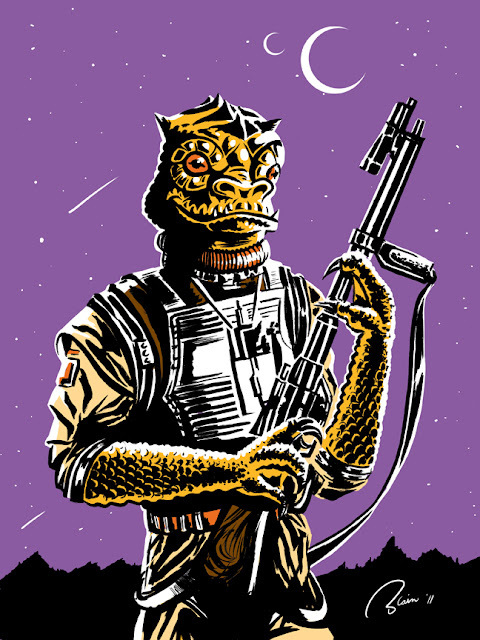 Bossk doesn't get enough love. Thanks! No he unfortunately doesn't!